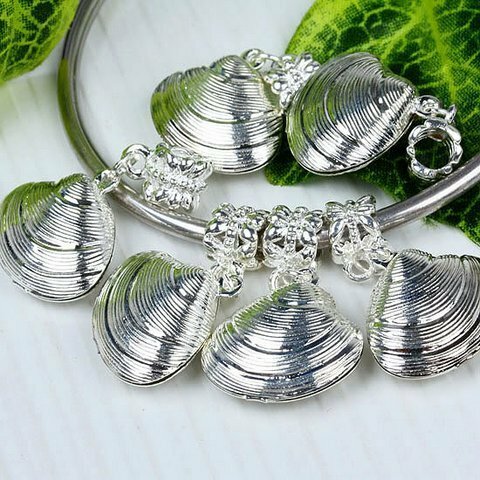 Silver plated metal clam charm (one). This charm fits on bangle bracelet in the BARS store. Price includes shipping. This charm fits on the BARS Bangle Bracelet.